Michael Jackson’s talent transcended language and culture differences. As a testament to this, the above graffiti portrait can be found in Berlin, Germany. Similar tributes can be seen and heard in cities around the world. 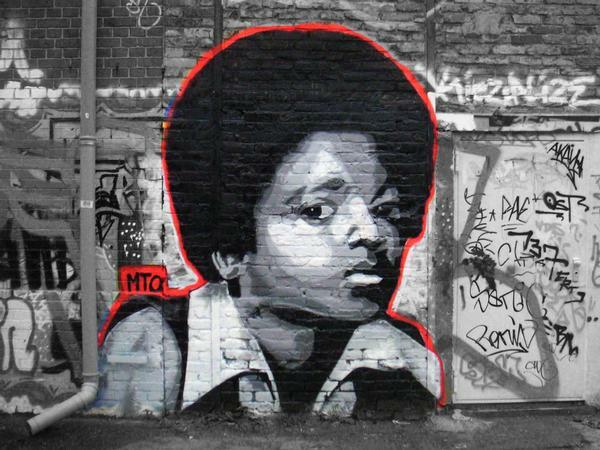 The artist is MTO Graff. I’m a Michael Jackson fan with my own blog. I’d link to include this photo and your notation, with your permission of course. I will provide a link to this page & website. Could you please let me know if this is OK with you?